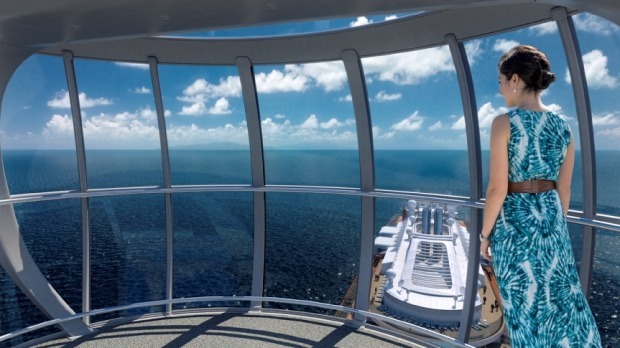 Quantum of the Seas' North Star: This glass observation capsule rises more than 300 feet in the air to give passengers dramatic 360-degree views. 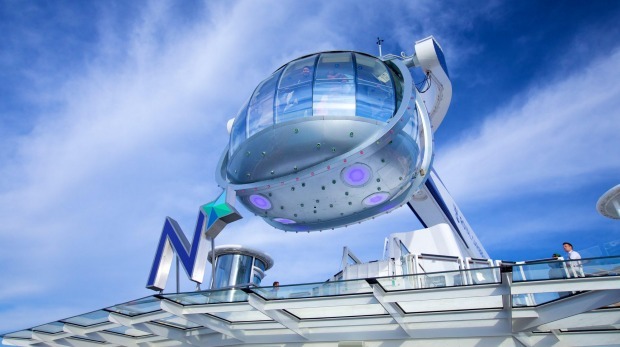 The North Star observation pod on board Quantum of the Seas. 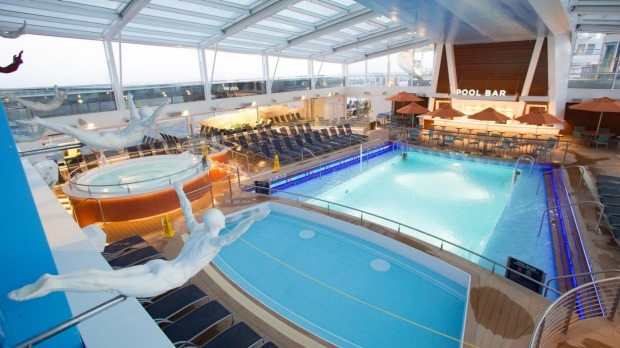 The pool on board Quantum of the Seas. 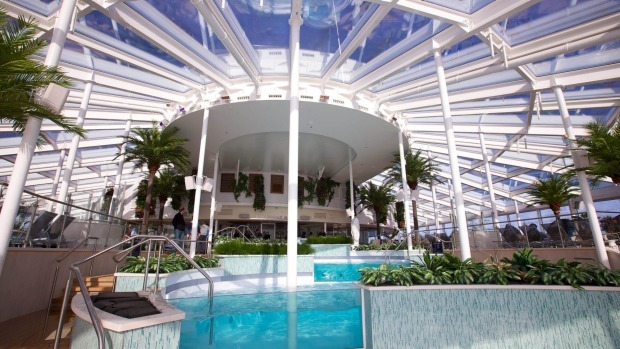 Quantum of the Seas' solarium. 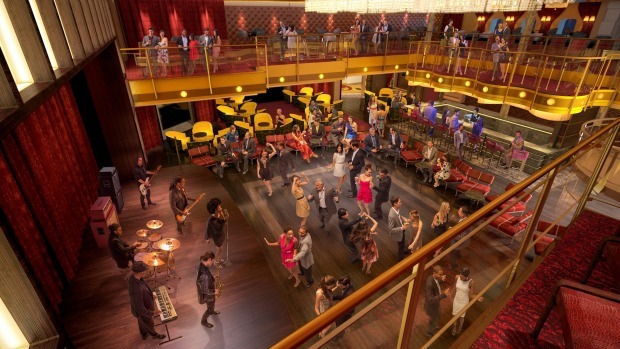 The Music Hall on board Quantum of the Seas. 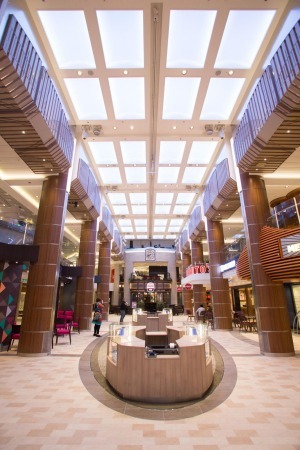 The Royal Promenade on board Quantum of the Seas. 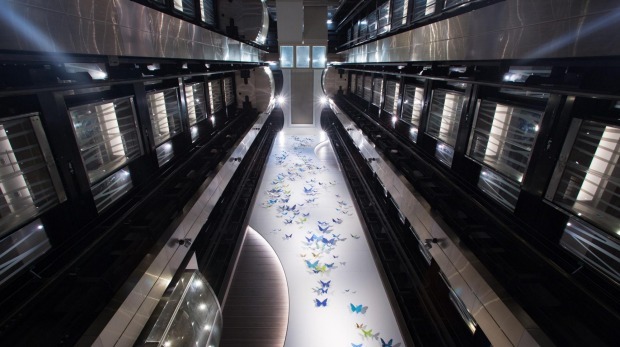 The North Star lifts passengers more than 90 metres above sea level. 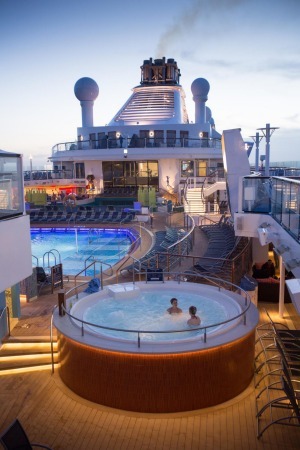 The pool deck on board Quantum of the Seas. 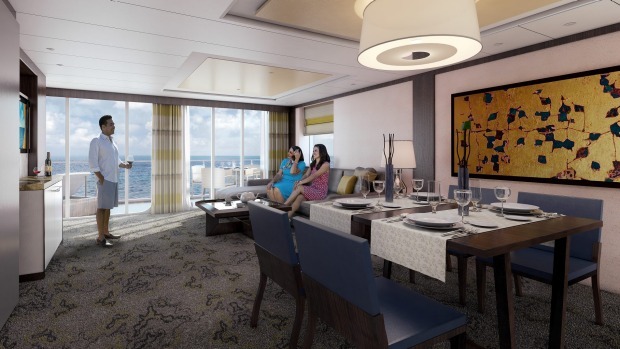 The Royal Loft Suite on board Quantum of the Seas. 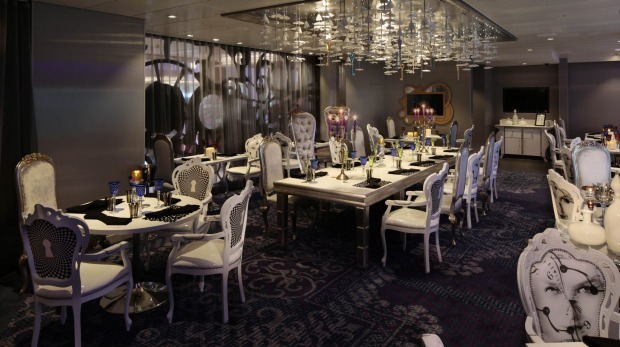 Wonderland Restaurant on board Quantum of the Seas. 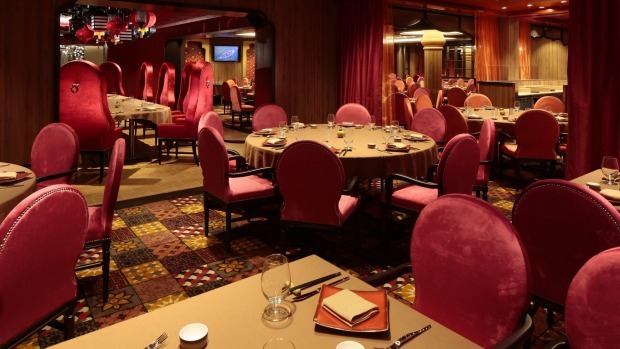 Silk Restaurant on board Quantum of the Seas. 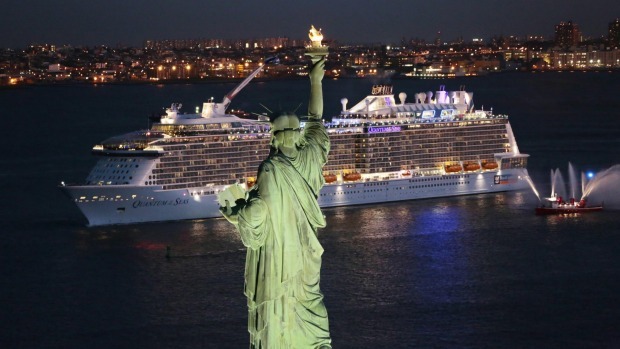 Quantum of the Seas arrives in New York. 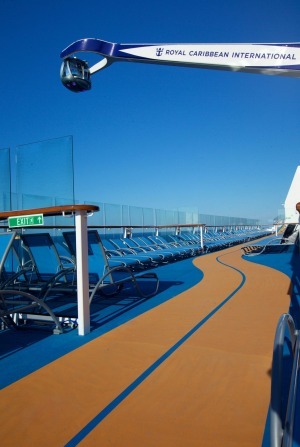 Quantum of the Seas features a running track on deck. 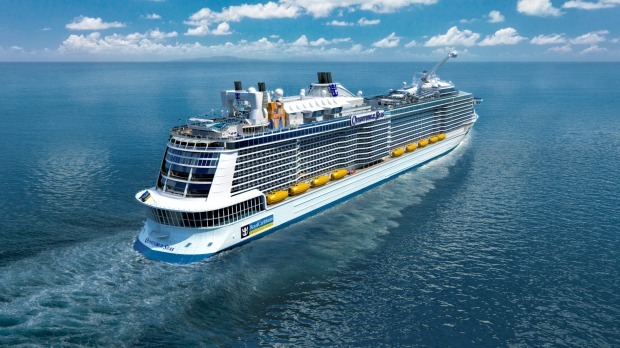 Kristin Chenoweth, Godmother, Quantum of the Seas performs at the naming ceremony. 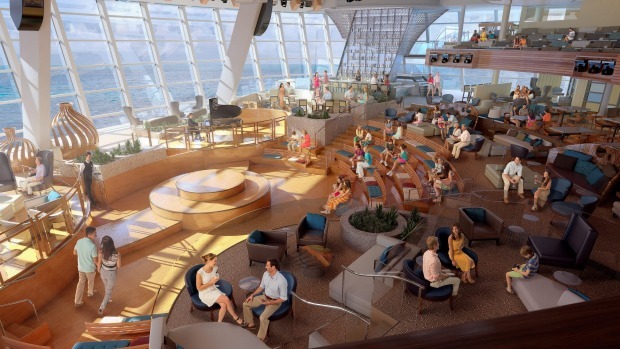 The living room on Quantum of the Seas. 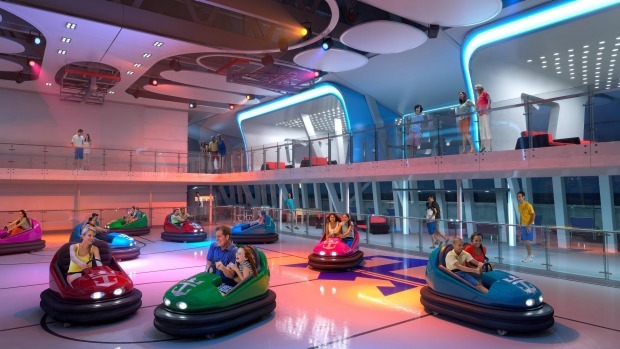 The SeaPlex space features bumper cars. 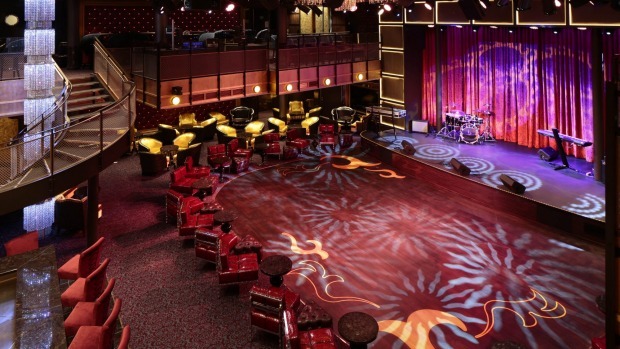 The Two70 entertainment venue on board Quantum of the Seas. 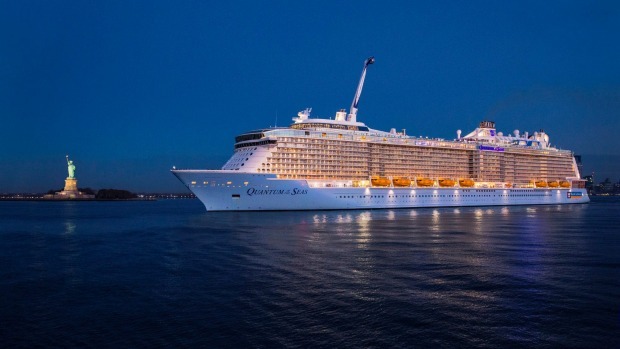 The North Star on board Quantum of the Seas. 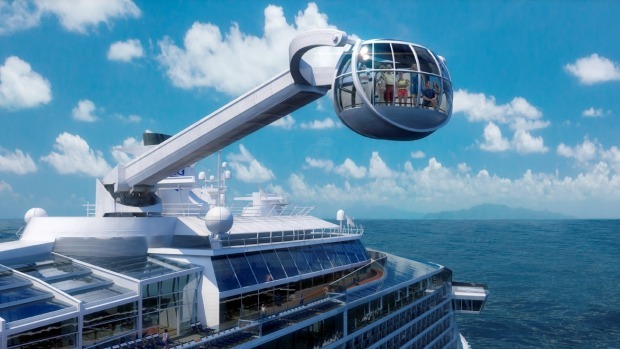 The Ripcord skydiving simulator on board Quantum of the Seas. 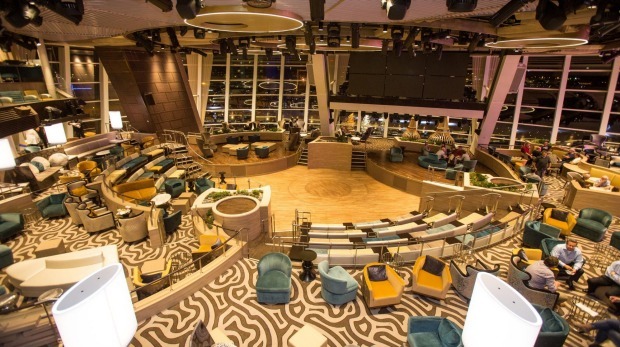 The Royal Theatre on Quantum of the Seas. 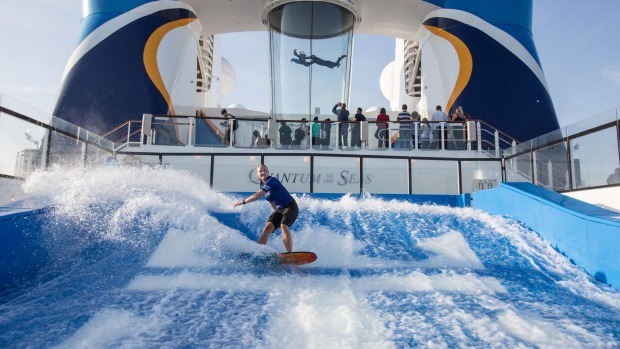 The Flowrider surf simulator on board Quantum of the Seas. 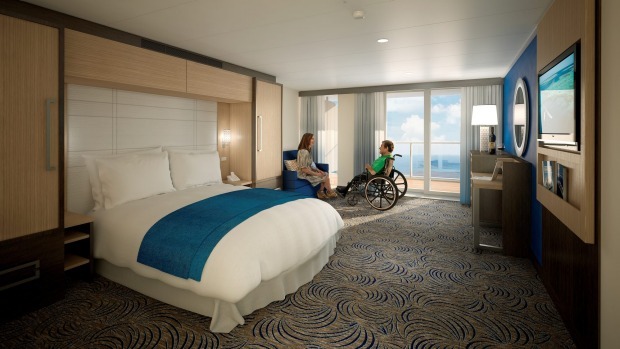 Quantum of the Seas Royal Promenade. 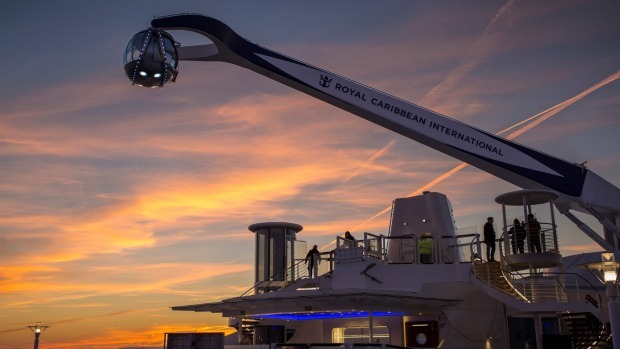 Robot bartenders on board Royal Caribbean's Quantum cruise ships. 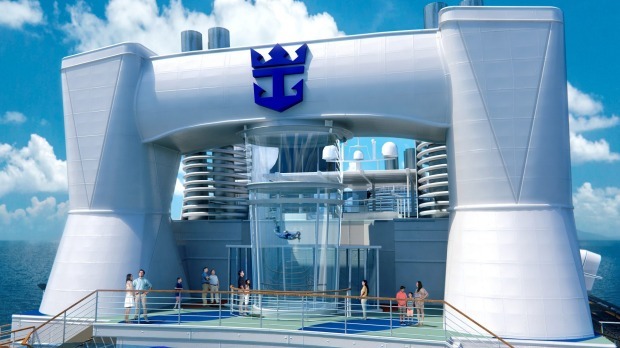 Quantum of the Seas has 16 decks. 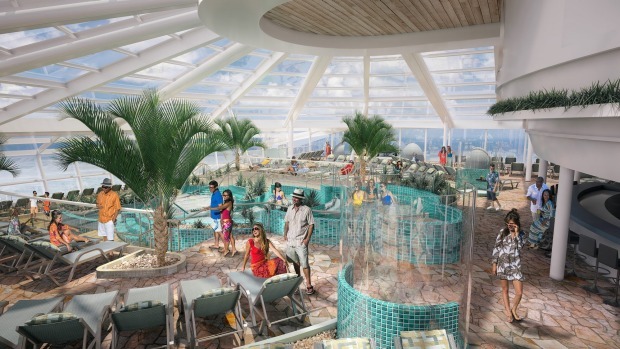 Quantum of the Seas offers ground-breaking onboard experiences that is said to bring cruising into the 21st century. 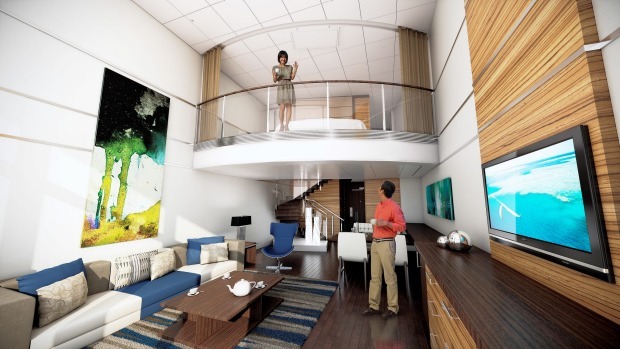 Passengers can watch digital displays and multidimensional shows at the Two70 venue. 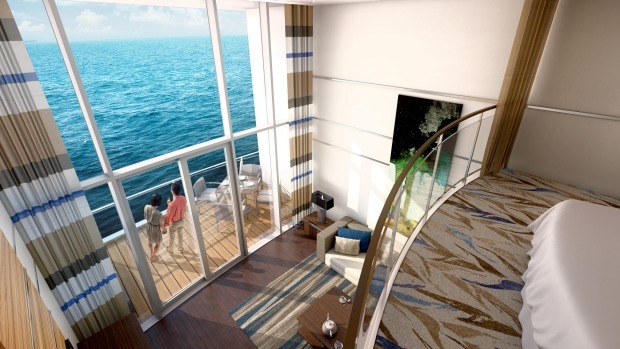 Or enjoy the spectacular sea views the Two70 lounge has to offer. 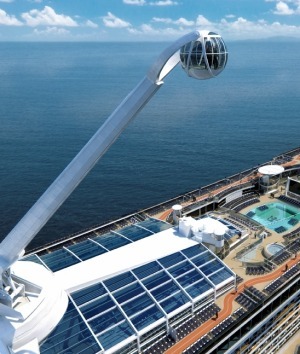 Skydiving experience at sea: The RipCord. 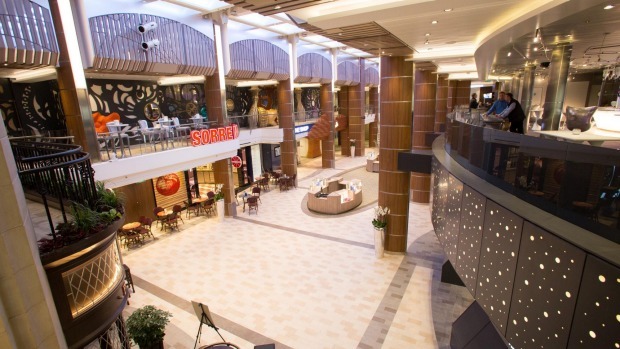 Get into the rhythm in the The Music Hall on the second floor. 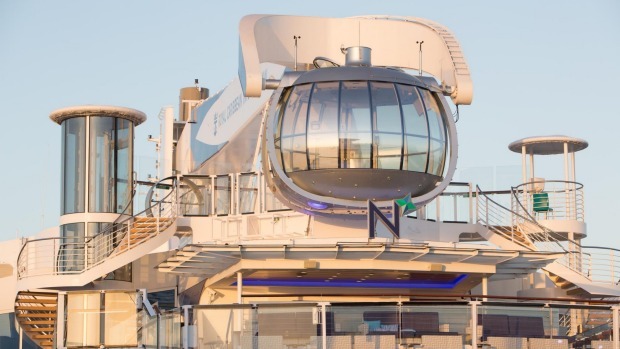 The NorthStar: This glass observation capsule rises more than 300 feet in the air to give passengers dramatic 360-degree views. 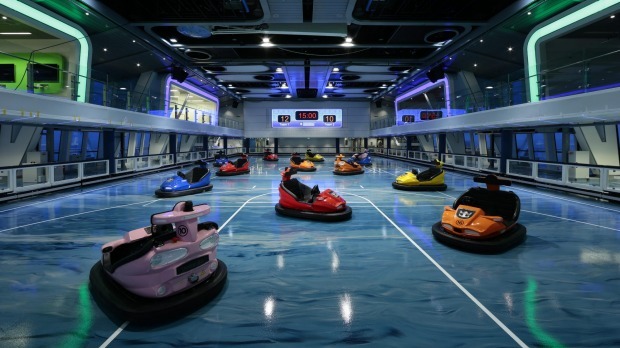 Ride bumper cars at the SeaPlex, the largest indoor active space at sea. 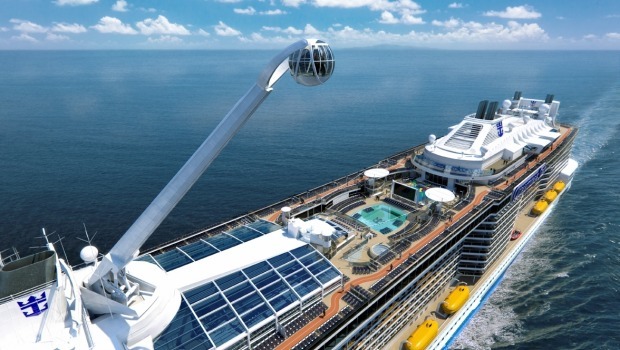 The world's newest cruise giant, Quantum of the Seas, launches promising a range of never-before-seen innovations at sea. 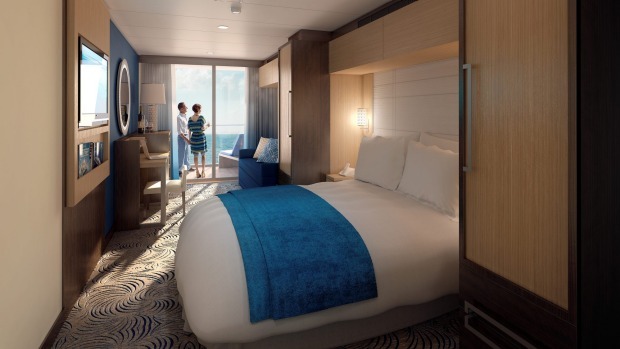 Sally Macmillan reports from on board. 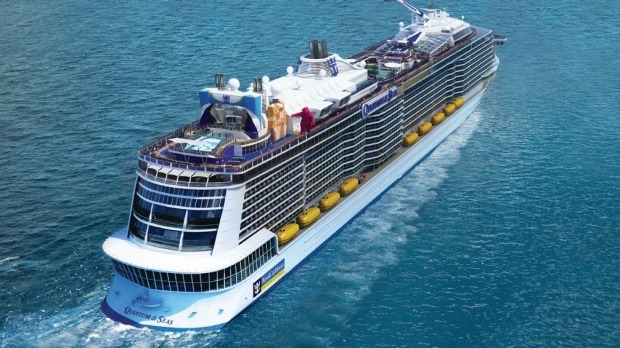 A thick fog blanketed the city on the morning that Quantum of the Seas was due to sail out of New York, its new home port. 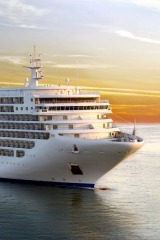 But by the time several thousand international media crews, travel agents and crew (4297 to be exact) were assembled on board at midday the sun had burnt through the clouds, so I headed straight to the top deck for a 15-minute ride in the North Star. 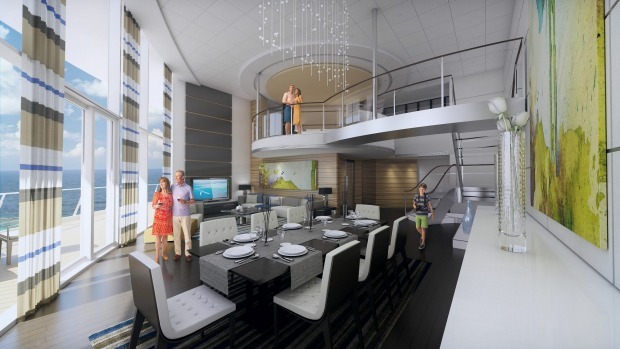 One of many 'first at sea' features the ship boasts, North Star is a London-Eye-type viewing capsule that ascends more than 90 metres above sea level. 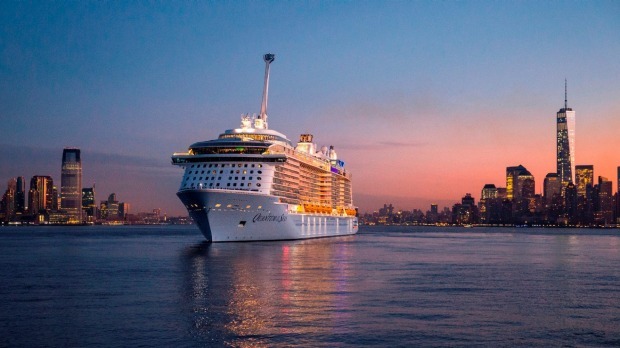 The 360-degree views of the big, industrial port of Bayonne, New Jersey, the famous city skyline and its landmark sights were astonishing – we were on eye level with a helicopter that was zipping back and forth taking aerial shots. 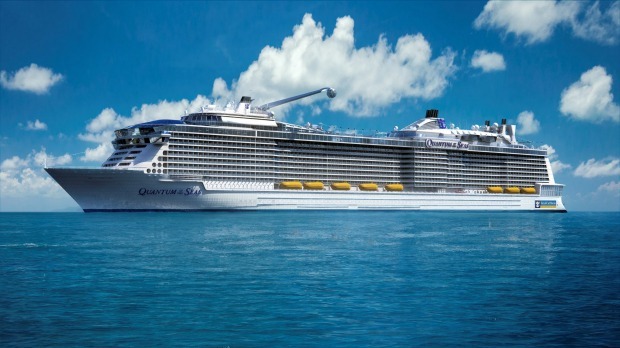 Seeing Quantum from such a height reinforces just what a massive vessel it is – the third-biggest cruise ship in the world, after its fleetmates Allure of the Seas and Oasis of the Seas. 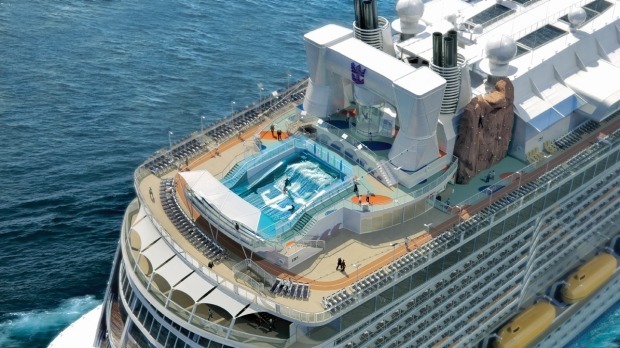 We look down over its full length (348 metres) and breadth (40 metres), a huge outdoor swimming pool (one of several on the ship) and over the top of the distinctive 10-metre-tall pink polar bear sculpture, officially named 'From Afar' and unofficially christened Felicia by the crew. 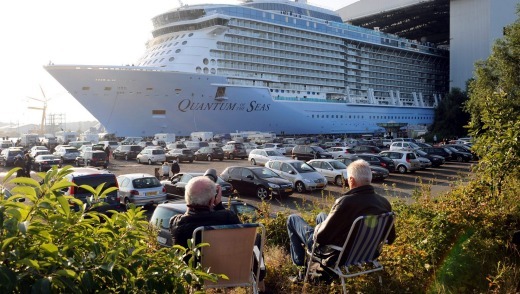 The new cruiser Quantum of the Seas at the dry dock in Papenburg, Germany. 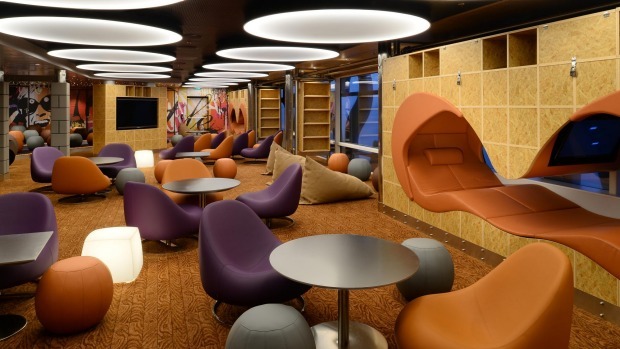 "Wow", "Oh my god", "awesome" and "amazing" were the most overheard words from fellow passengers. 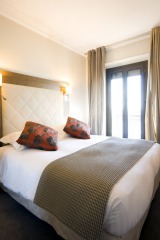 And that was just at the start of our two-day whistlestop tour of the ship. 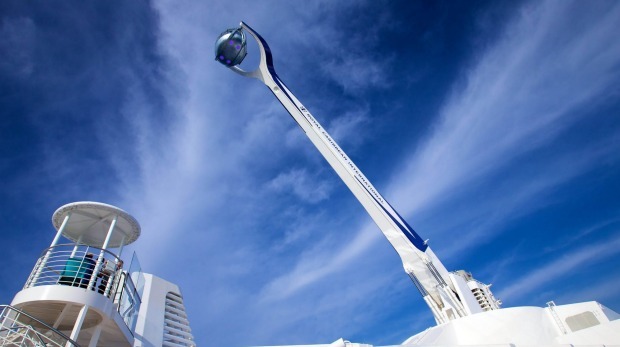 A simulated skydiving machine, Ripcord by iFly, is another extraordinary 'first at sea' feature. 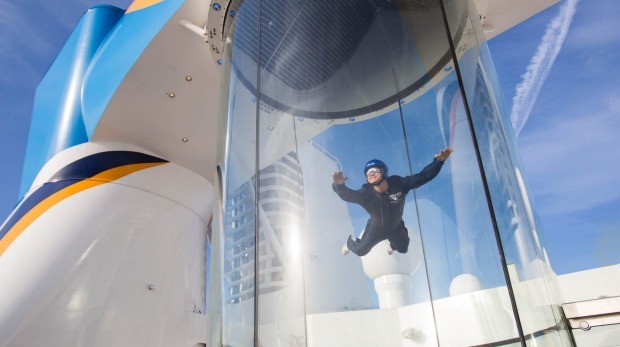 It takes about an hour for groups of 12 to undergo the briefing procedure, get suited up and then enter the glass-enclosed wind-tunnel for a hair-raising experience that attracts plenty of people who would never consider jumping out of an actual plane. 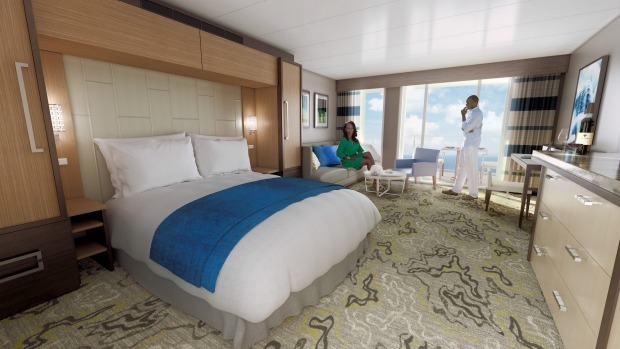 Another signature Royal Caribbean experience (now also on Voyager of the Seas, which will be based in Sydney for the upcoming season) is the FlowRider. 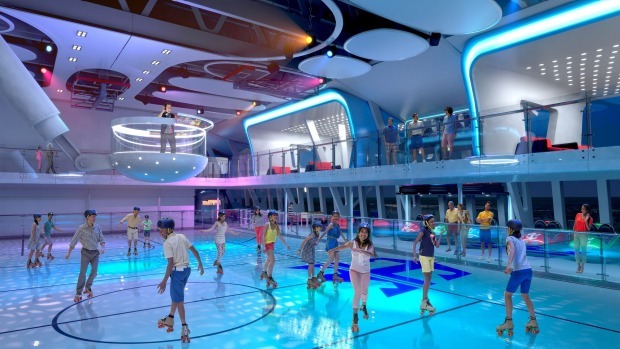 A few hardy passengers braved the brisk autumnal weather to show off their board-riding skills (or just have fun falling over) but the bumper car rides in the SeaPlex centre proved more popular. 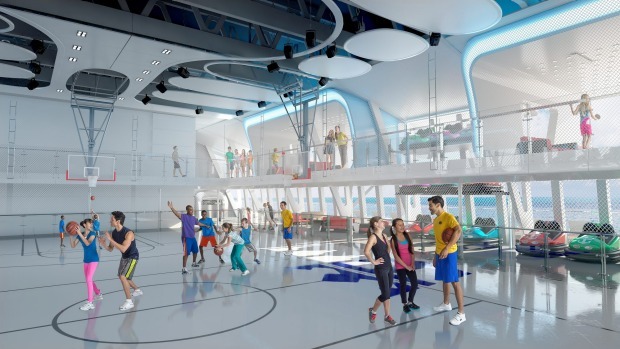 The vast, light-filled SeaPlex space is a multi-use 'fun zone' that offers a circus school and night-time roller-skating as well as a full-sized basketball court and bumper cars. 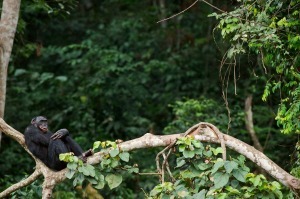 There were queues for the flying trapeze sessions and applause for all participants – some of whom were well beyond their 20s and 30s. 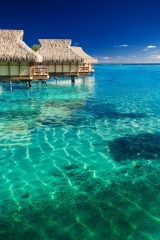 We can add "gobsmacking" and "extraordinary" to the general reaction. 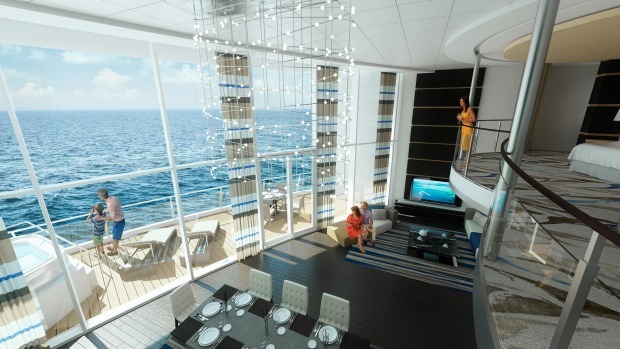 Entertainment is also taken to new levels on board the new 'smart ship', as the line calls Quantum. 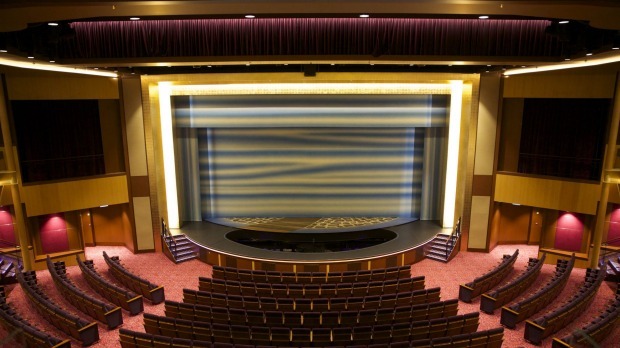 While there wasn't enough time in two days to more than scratch the surface of what's on offer, the Starwater show in the two-deck-high Two70 venue surpassed any musical theatre show I've seen, at sea or onshore. 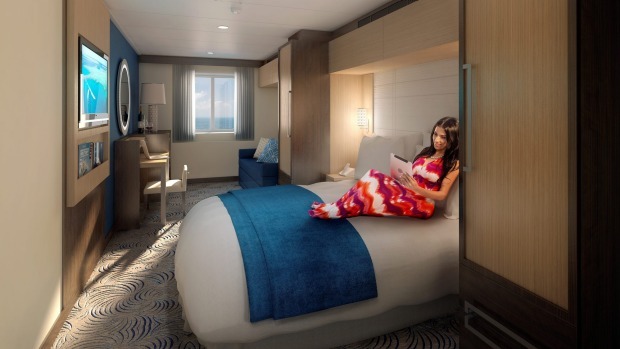 Two70 is at the aft of the ship and has floor-to-ceiling windows that give a 270-degree view of the ocean during the day, and transforms into a futuristic entertainment venue at night. 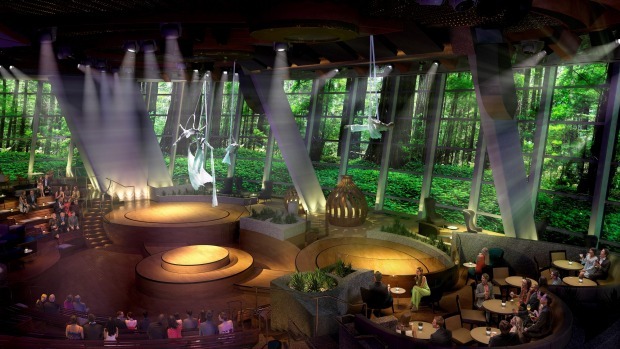 Digital screens that drop down over the windows form a constantly changing backdrop to the performance by exquisitely, outrageously costumed singers, aerialists and dancers while robotically controlled screens add another dimension to the show. 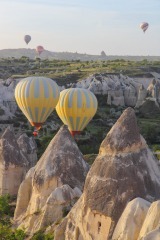 We can add "gobsmacking" and "extraordinary" to the general reaction. 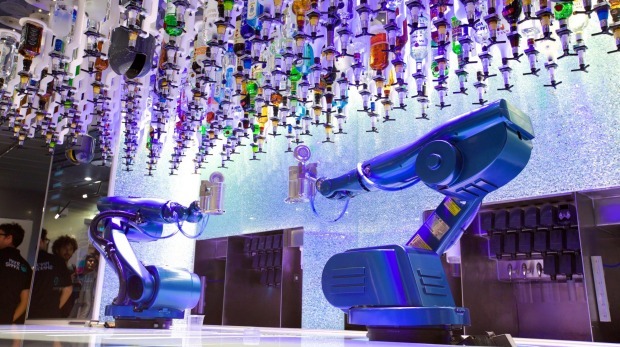 However, the robotic bartenders in the Bionic Bar weren't quite so effective. A colleague and I waited more than 45 minutes for her vodka and tonic, which never arrived, while the cosmopolitan I ordered wasn't its normal sophisticated self, served in a plastic cup with too much ice and no sliver of lime. 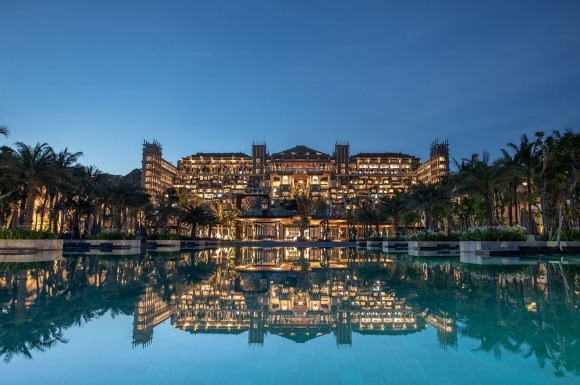 Another common gripe was about the much-vaunted high-speed internet access – it dropped out constantly and people were wandering about glued to their smartphones trying to follow up dinner or theatre bookings. 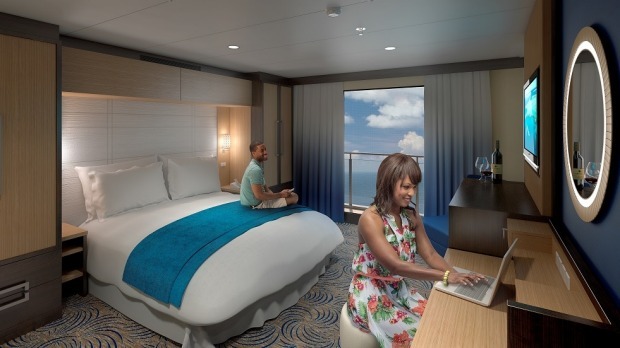 There is far too much to see and do around the ship to be wasting time looking at a phone screen. 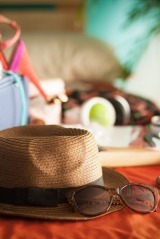 However, it's early days. 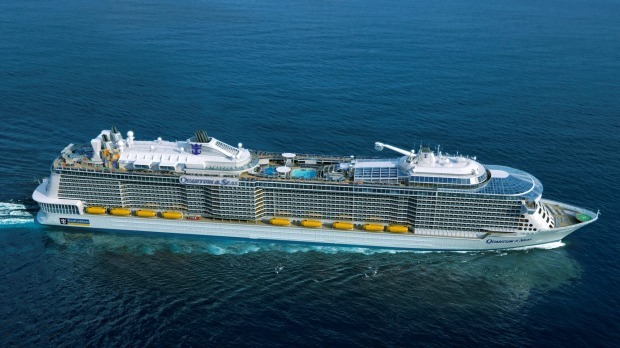 Royal Caribbean has invested millions of dollars in this first-of-three Quantum-class ships, so we can confidently expect these glitches will be ironed out as Quantum of the Seas embarks on its first season, sailing out of New York – and before its sister ship Anthem of the Seas launches in April next year. 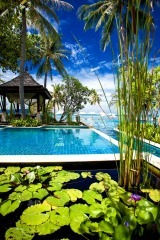 This reviewer, for one, is well and truly wowed. 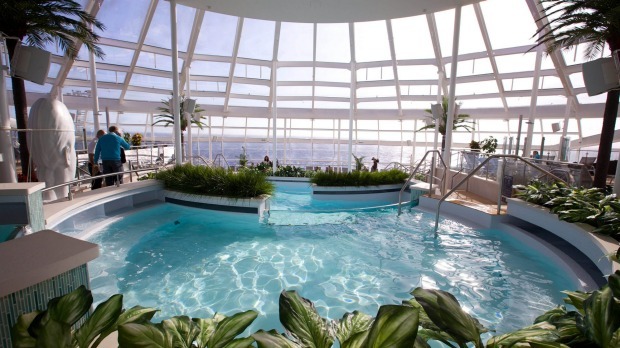 Explore Quantum of the Seas in the photo gallery above. 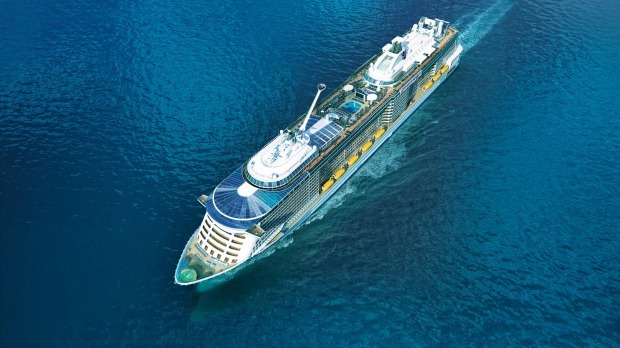 The writer travelled as a guest of Royal Caribbean. 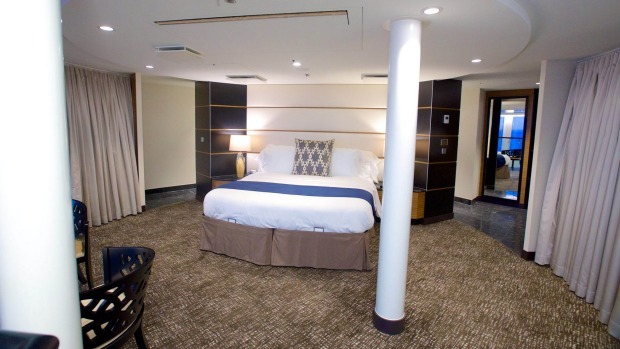 You can see more of the ocean with the North Star.